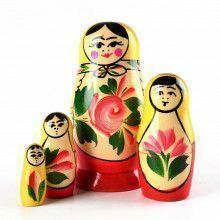 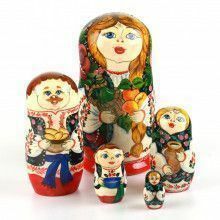 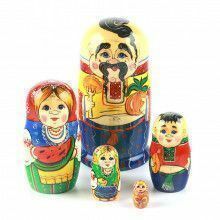 This nesting doll is beautiful art. 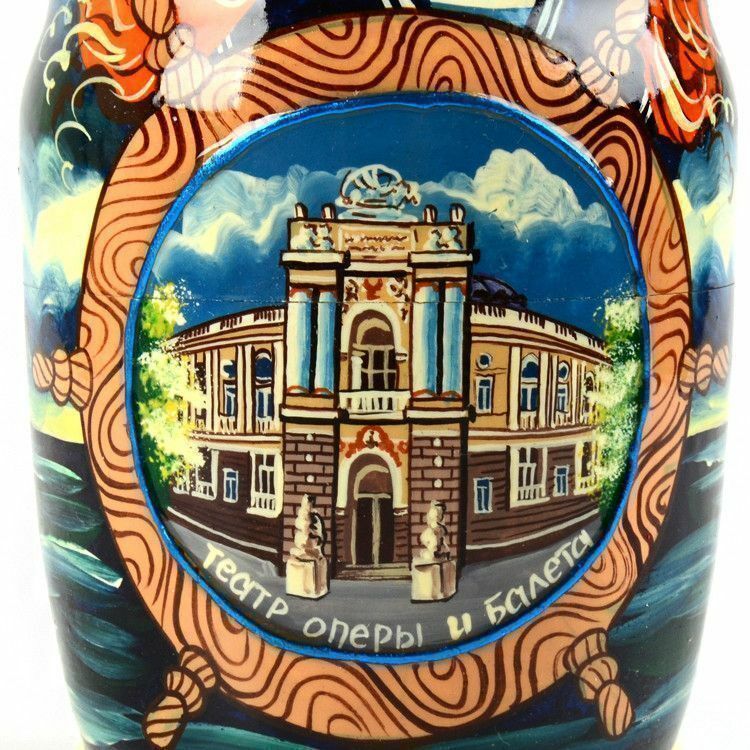 The largest doll features a very detailed, vibrant, and sparkly depiction of the famous Opera House in Odessa, Ukraine. 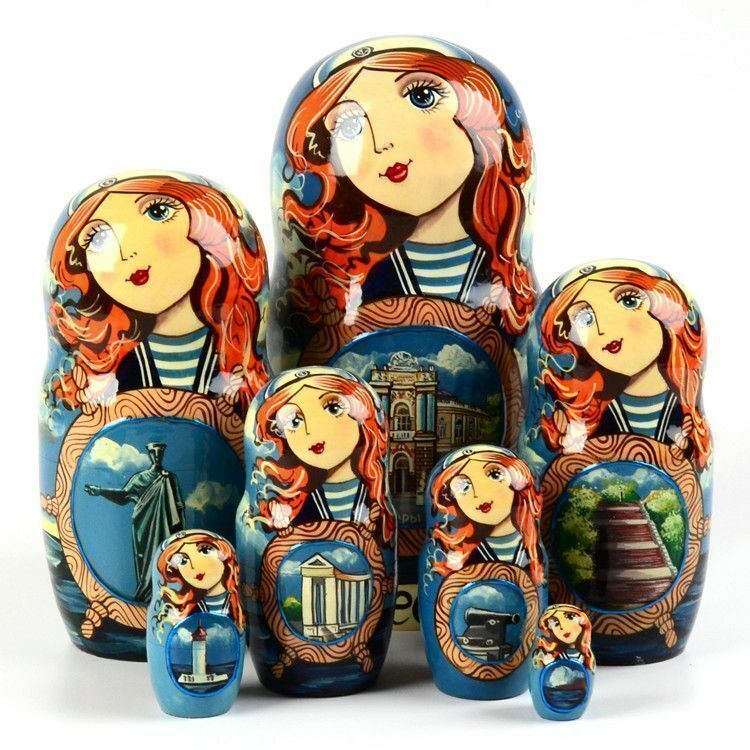 Each of the smaller dolls feature other famous architecture and destination spots around the city of Odessa. 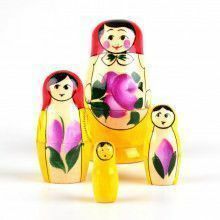 Each doll is hand painted with the utmost attention to every minute detail. 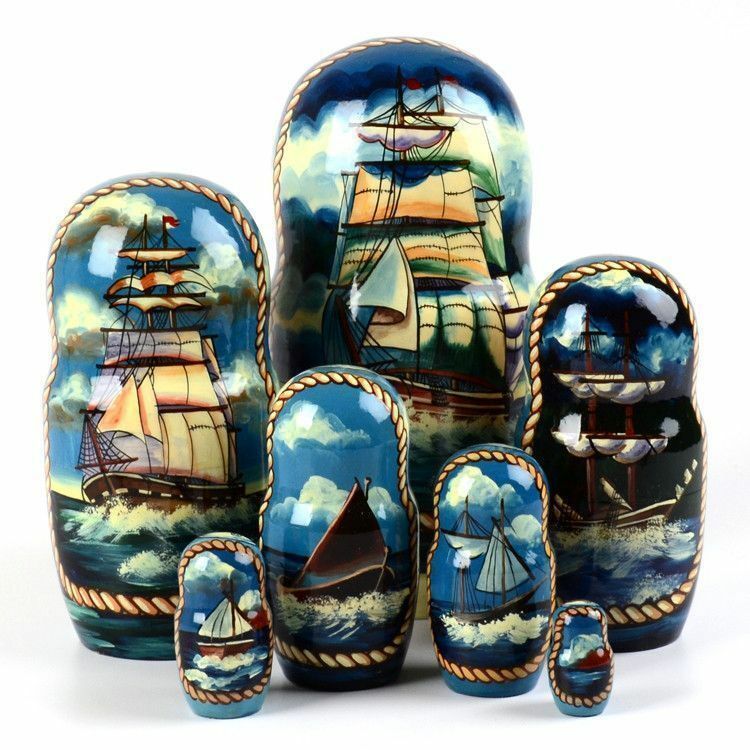 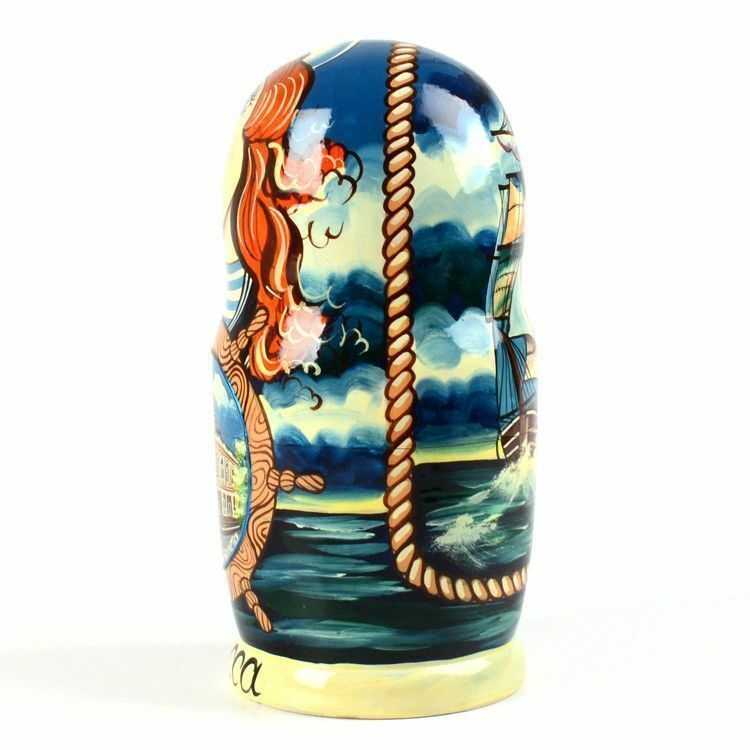 The back of each doll also features hand painted depictions of famous ships to set sail from Odessa. 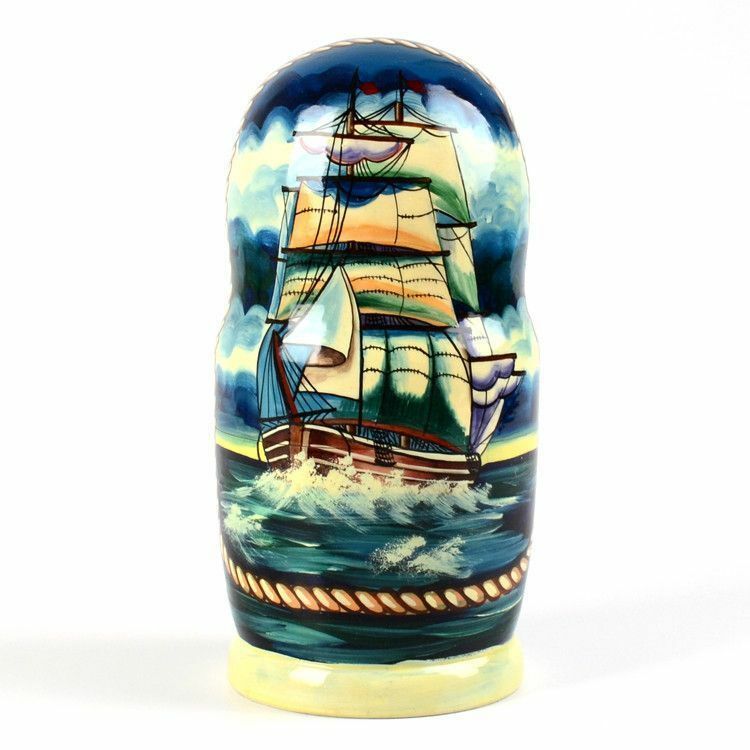 About 8" tall.